Kiawah Island played host to the 1991 Ryder Cup matches between the USA and Europe. Team Captains were Dave Stockton (US) and Bernard Gallacher (Europe). Later dubbed the “War by the Shore” the 29th Ryder Cup was one of the most fiercely contested in history with several lead changes and it all came down to one six-foot putt. Bernhard Langer was playing Hale Irwin in the final match and was left with the fateful putt to win his singles match and halve the overall match enabling Europe to retain the Ryder Cup. As everyone knows Langer narrowly missed the putt and the US reclaimed the Ryder Cup they surrendered at The Belfry in 1989. USA 14 ½ - Europe 13 ½. The Ryder Cup was played at The Belfry in 1989 and again in 1993. The Ocean course at Kiawah Island opened for play in 1991 only weeks before the thrilling “War by the Shore” Ryder Cup match, which saw team USA beat Europe by the narrowest of margins, 14½-13½. This particular Ryder Cup is unfortunately remembered for Bernhard Langer’s missed six-foot putt that would have tied the match, allowing Europe to retain the trophy. Naturally, after the Ryder Cup, the Ocean course, designed by Pete Dye, leapt into the limelight and has remained there ever since. There are panoramic views of the Atlantic Ocean to drink in on each hole and the course is routed in an old-fashioned way alongside the ocean. But instead of a links-like nine out and nine back, the Ocean course adopts a kind of 4½ out and 4½ back figure of eight configuration. According to Pete Dye, "There’s no other golf course in the Northern Hemisphere that has as many seaside holes". And Dye should know, because he built up the ground farthest away from the Atlantic Ocean by a few feet so that the golfer can enjoy unparalleled sea views. What a man! Pete Dye certainly pays attention to detail and the green sites at Kiawah Island are consistently natural. With miles of underground pipes, which recycle surplus irrigation water, it’s no surprise that the Ocean course is a hit with the environmentalists as well as the golfers. 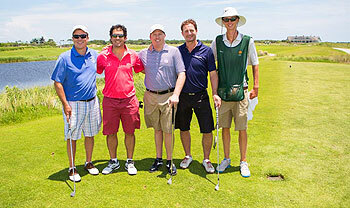 Kiawah Island hosted the 2012 US PGA Championship. Measuring a formidable 7,676 yards in its tournament livery, the Ocean course was tamed by Northern Ireland’s Rory McIlroy who cruised to an eight-shot victory and claimed his second major title, becoming the youngest winner of the tournament since it adopted strokeplay in 1958. A trip to semi-tropical Kiawah Island would not be complete without a round on the best course on the island and one of the world’s finest courses. Add in a sprinkling of Charleston grace and you have the experience of a lifetime. The Ocean Course is legendary for its views, ever-changing conditions, and interesting history. It’s an incredible piece of land overlooking the Atlantic Ocean, built as the centerpiece of the Kiawah Island resort community in the early 1990s, being awarded the 1991 Ryder Cup before it even existed, yet then a major hurricane completely derailed construction with less than two years before the tournament. Dye’s crew finished the course in stunning fashion and the resultant “War by the Shore” is now legendary in (perhaps only American) golfing circles. My favorite holes include: #3, a fun short par four whose fairway is (sadly no longer) bisected by a large tree, with a small green that falls away on all sides, #5, Dye’s par 3 homage to #17 at Pebble Beach given its style and setting, #8, another gorgeous par three with an elevated green, #13, a long, narrow, par four along an estuary featuring a long, narrow green, #14, Dye’s version of a redan that plays about as differently as any par three on Earth between upwind and downwind, #16, a long par five with deep Dye bunkers, and #17, the famed Ryder Cup climax par three. It’s one of Pete Dye’s best, and certainly one of the most unique courses in the United States. Many words have been written on paper and the web espousing its virtues. My position is that it’s likely Dye’s best set of four par threes anywhere; all four are excellent, challenging holes, and all are extremely different, which is what makes it extra special. But in the sake of brevity, I’ll submit my six ball review and leave it at that. I found this course to be spectacular. The views of the ocean and the layout were great. The course is hard, no doubt, but luckily for me and my group, we did not have a windy day so it played significantly easier than normal. The clubhouse is great and the staff treated us wonderfully. My group took a bus from Pawley's Plantation (just south of Myrtle Beach) and it took roughly 2.5 hours to get to Kiawah Island's Ocean Course and it was absolutely worth it. One of Pete Dye's best designs, built on the Ocean with great views and high winds. The sand is unique and hard--hit some practice shots before your round. Every hole on the course is a good hole. The greens are very good and not as undulating as some other Dye courses, such as the Pete Dye Club. It is a very tough course, but one you would enjoy playing every day if you are a single-digit handicap and not playing from the tips. At the end of November I had the great pleasure of playing the Ocean Course for the first time. First group out at 7:30 my Scottish by way of Hong Kong playing partner and I set out to tackle the brute on a chilly but perfect fall morning. First out is the best way to go on a course like this as round times can run up to 4.5 - 5 hours waiting on 4 balls. We walked a relaxed pace in a tidy 3 hours and 15 minutes. Perfect for this course. I will admit to having heard from many people how tough the Ocean Course is, perhaps diabolical is even a better word. I’ve been told this was due in part to the wind and challenging greens many of which were raised. My home course has 12 raised greens so Kiawah’s greens didn’t really delivery much of a surprise, challenge sure but I found recovery shots to be easier than I’m use to at home. Given the fact that the grass is cut short everywhere there are many options to play the ball on the ground. This is in my experience not always the case on Bermuda surfaces but the strain of Bermuda at Kiawah seems far more playable and less sticky than others I’ve played in the South. There are some greens that really must be approached from the right position to have a chance to hold but that can be expected from a championship course like this. We were pretty lucky with the light wind we faced that only started picking up at the end of the round but I can imagine how fun the course would play in gale force winds. I have to say I really enjoyed every hole on this course, it’s right up there along with The Golf Club as my favorite Pete Dye course. I found it really very playable and extremely fun. Be prepared to pull out all the stops and have to play nearly all the shots you can think of, it requires creativity and lots of it. I wouldn’t go out expecting to make a great score but who cares, play a match, it’s a wonderful matchplay course. A must play as far as I’m concerned and certainly one of the best courses that everyone can play in the US. We played the Ocean Course at Kiawah Island near Charleston, South Carolina, USA this month (Nov. 2014). Pete Dye designed the course in 1989-90, I believe, to host the 1991 Ryder Cup Matches. It is an excellent golf course. Set this comment aside, but I believe this golf course is a unique masterpiece of design under pressure as the Ryder Cup had already publically committed to the course before Pete designed and built it. Believe me, in the design world that is extreme pressure to produce a design quickly based only on ones inner talent and instincts. Cockiness has nothing to do with design success under pressure. You either have what it takes or not. Pete Dye has what it takes. Failure would have been devastating given such worldwide exposure. The Ocean Course is an aesthetic success both in terms of Pete's apparent design philosophy and our current, collective fads in golf course design. But it is also well thought out it terms of shot making. Generally very difficult but seems to consistently reward precise good shots and not impossible for below average golfers to play. Also, the artistic composition of the dunes, shaping, grasses and vegetation are just beautiful in the eyes of this beholder. Obviously, the setting in the South Carolina Atlantic Ocean dunes is exceptional, stirs human emotions and presents natural conditions that make the course even more complex and challenging. I am not a course rater. However, I believe the fairness of the golf course when you hit good shots is very good and yet the difficulty and complexity from hole to hole of shots and strategy are exceptional. If Kiawah plays the rating game correctly, the course definitely has the necessary attributes required to become a recognized world classic golf course eventually. Another detail is the combination of native vegetation, turf, wild ocean grasses, etc. which are not as penal, mean and silly as the current fad courses often are now and not as "thick". So, the penalty for a bad shot for the scratch golfer is definitely there but the penalty for the masses is not always a lost ball, sprained wrist, whatever. That is to say that off the fairway the native areas are somewhat "thin", sandy and one can often find the ball (more like my encounters with Scottish heather and gorse). The great mix and complexity of contours, shaping, holes, shot angles, types of shots required are exciting, often very difficult. Nobody could have figured all this out - all the various options to the green and to the cup. It must result from the Pete Dye's "feel" for golf, golfers and natural consequences of the site which he and Alice accentuated for great golf. PS: He has been allowed to tweak the course since original construction. So, The Ocean Course is even better as a result. Rarely can any human really design a complex golf course perfectly the first time around. Other factors include1) No paved cart paths; 2) Walking emphasized; 3) Caddies available and encouraged (we walked, carried and played the correct tees); 4) Excellent caddie program; 5) Historic colonial reproduction clubhouse architecture; 6) Naturally sandy ground well suited for the human biomechanics of the game. When we arrived, it was spitting with rain, which continued on and off for most of our round. Although the wind usually blows at Kiawah, it wasn’t much of a factor that day, and everyone said how lucky we were. But I still though the place was very hard. (The rain didn’t help my attitude, I’m sure.) The tips play more than 7,700 yards, and the course recently had been overseeded (as it is every fall with grass that grows better in the cooler winter weather), so the greens and fairways were shaggy and slow. If you have never been in a waste area or waste bunker, then by all means visit the Ocean course; there are hundreds of yards of them. I won’t tell you my score – not because I am embarrassed, but because I blocked it out of my mind long ago. But by all means, you should test your golf skills here. (By the way, this is where The Legend of Baggar Vance was filmed.) Larry Berle. The Ocean Course at Kiawah is not the first Pete Dye Course I have played and certainly not the best (I like Dye Fore in Dominican Republic better), but it has 2 things I really like: course maintenance is great and it is really very challenging, every missed shot will pay a fine as driving the ball is tough and the green complexes can be a nightmare if you miss to the wrong side. We played it during the 2014 IAGTO NAC hosted in Charleston and for this Edition Gilles and Carlton had the great idea of doing a Ryder Cup Competition between USA and The Rest of the World. And added to this every match had a VPAR device where to post the current score of the match and where you could follow the online status of the overall match. A great idea and which game an extra adrenaline to the match. With my friend Michael Jensen we won 2up but was not enough as USA won the Matches 18.5 to 17.5, but what was amazing is during the round the score was always tight where no team had more than 2 points of advantage and which was decided in the very last match on the last hole! It was a long day which started getting up 6am in Charleston, packing and after breakfast taking a bus to Kiawah. And the organization had the very first great idea of putting the video of McIlroy’s win at the 2012 PGA Championship so that when we arrived, everybody was very excited and wanted to play immediately! When arrived all carts where ready and after warming up everybody when to the corresponding hole to start the matches (we started on 9th hole, using the 6500yds tees which was ok as the hcp average of the field was not lower than 15). About the course, the first thing to say is the greens were rolling extremely true and at a speed of at least 9 feet in the Stimpmeter, which is very good for summer and paspalum grass. Then, there are no bunkers on the course as every sand area is to be considered a waste area where you can land the club and swing your club testing the ground which really helps as not all of them are the same. I found playing out of the sand one of the bigger challenges of the course. Driving the ball is not easy as there are many dog legs, blind shots and sometimes you need not to be too long to avoid bunkers, long rough or maybe water. Approach shots are the hardest test on the course to those small and hard to hold greens. The longer you are from the pin, the tougher the shot. But the challenge remains as the green complexes are very creative and well designed, you need to be very sharp to get the up & down prize. My favourite holes where par four 3rd (that one where Rory left the ball inside the tree), par four 13th and par three 17th. The 3rd has a very small and elevated green, where I hit a perfect shot (or that is what I believed) and I ended 20 yards long of the pin. The 13th has a very tough tee shot and a more difficult second shot and 17th from the tips to that narrow green protected by water is really very difficult. Said all this, the course shows that it was built and that is not natural, that is why it may lack the character of true links courses like Carnoustie, Royal Aberdeen or Ailsa. I liked it and for sure would go again, but if to choose I'd rather fly to Scotland if I want to play links golf. 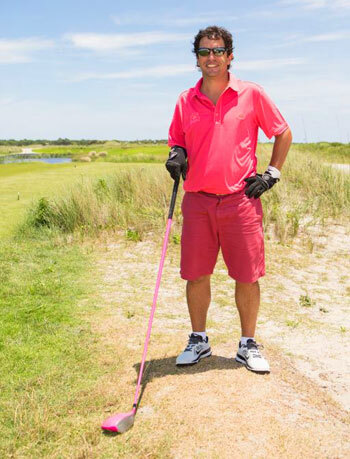 When the opportunity arose to play the Ocean Course at Kiawah Island, it could hardly have been a more enthralling prospect! For a course that was built for the 1991 Ryder Cup, it has already gained a reputation as one of America’s finest and most challenging courses, and has witnessed some classic Ryder Cup, World Cup and USPGA moments! Playing only a few months after Rory stormed to victory made it all the more exciting! The anticipation builds as you leave the main drag outside Charleston, but from there you have a long windy tree lined road to eventually get to the beginning of the Kiawah Island resort. Once through the first set of security gates, the densely wooded lanes, pass stunning looking courses with exotic names like Ospreys Point and Turtle Point. The excitement builds as you wonder just when the Ocean Course will emerge. Finally, the sky appears and shortly after you arrive at the traditionally Southern clubhouse, to be greeted by the bag drop staff, where your clubs are whisked away to the range. The clubhouse and changing rooms are immaculate, but at this point you can’t wait to get out and see the course. Only a few days before Christmas and the sun shining, it was easy to understand why golf in South Carolina is revered by anyone who has visited this wonderful golfing State. On the short buggy ride to the first tee, you are struck by the spectacular landscape, which although as close to the sea as can be, with in many ways a links feel, it has a landscape that is entirely different from the traditional British and Irish classics. Sandy wasteland areas, unusual trees and bushes, a variety of wildlife, all make the experience an unfamiliar one for the British visitor. This is a unique stretch of land that has 9 holes on either side of the Club House laid out in a figure of eight, so half the holes on each 9 can be played with the wind and 9 against, with the shore line only metres away at all points on the course. All players are encouraged to take a caddy, and it makes a big difference to the enjoyment of the round, as the line off the tee is not always apparent, while the greens are quick and not easy to read. Another difference with a UK links is the presence of water, particularly on the Back 9. Whilst I hear what other reviewers have said about 17 being slightly unnatural, it didn’t feel that way to me. This is very much a unique course, and is not trying to be similar to any other. The alligator snoozing by the edge of the 17th was a reminder that this was not your average links! There is no weak hole as such; the Back 9 is a slightly different challenge due to the water that comes in on a number of holes, but the overall experience is fantastic. The round raced by and you starting wishing you could play again the moment you arrived on the 18th tee, but playing the course is as stimulating experience as is imaginable. Importantly, the bar is excellent with a panoramic view down the coastline! Conversation will undoubtedly turn to just how good the course is and where it ranks in your top ten favorites. On a beautiful South Carolina day, you will not want to leave! It’s a must play, and a must play again!! A little bit disappointed to be honest. My main gripe is the greens. Whilst the roll was pretty good they were littered with ball marks but given the conveyor belt nature of the play on the course I guess this should not be a surprise. Caddies were average.I think the water feature on 17 is completely out of place.All in all a fun course but for USD 400 and USD 130 per caddy it is a little steep but at least you can get on.